In today’s article, we catch up with YS Park founder, Young Soo Park. 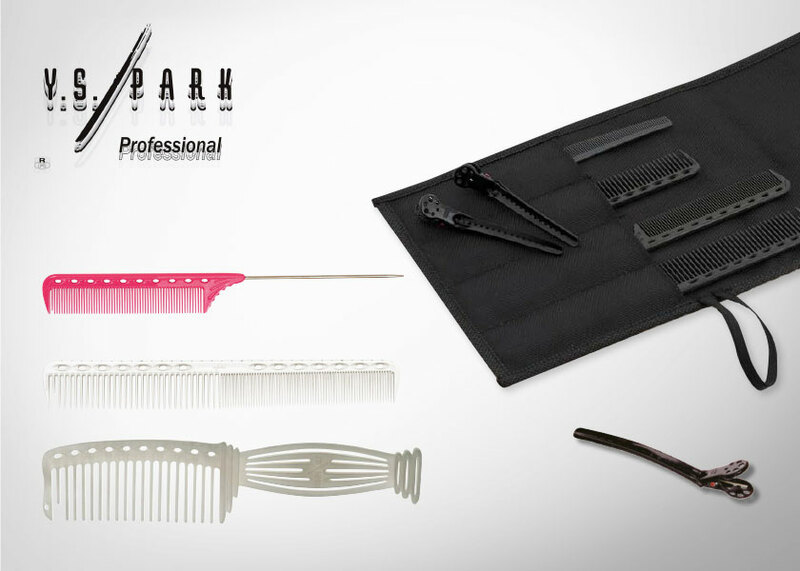 YS Park are best known for their high-quality combs, designed exclusively in Japan. The first choice for hair salon professionals around the world, the entire range of YS Park tools were created by hairdressers for hairdressers. So whether you’re already a loyal fan of YS Park, or simply want to find out more about their ethos and business, keep on reading! Tell us more about how and why YS Park began? YS PARK started originally as a hair salon business. The product side of the business started with the idea of creating a wet product line that I could offer in my salons to customers. Things like styling products and pomades. This then expanded to mist sprays, mousses and shampoo lines for different types of hair. Product development for hair tools like combs and brushes, pins and clips started around the same time. As the salon business grew, my mind moved to thinking about how to maintain the quality of service we offer whilst increasing our client numbers. When I produced these cosmetics and tools lines, I considered them working in tandem within the boundaries of a single concept. The concept was that these products were speedy, easy and precise to use. For me, providing an efficient service is not just about doing your job quickly and the customer being able to leave quickly. It’s about allowing for extra time to provide a better quality service. This idea is the basis for the YS PARK brand and an idea we continue to pursue. How does YS Park stay competitive within the industry? Quite often hair and beauty manufacturers have a tendency to focus on one main product of expertise and then complement this product with sister products. At YS PARK we do not believe in “the one tool that does everything”. The higher you aim to achieve the more you realise that the one tool that promised to do everything is, in fact, a little lacking in every area. Every YS PARK product has been designed with a very specific task in mind and every product we develop aims to be the best in the world in its relevant field. We do this not only by developing and reinventing tools, but also by constantly finding a need for a new type of tool that can improve the way we work. In order to do this, there needs to be a good understanding of how we aim to work. As YS PARK found its origin in the hair salon we have an edge on this. I think this is what separates YS PARK from other brands. How have trends within the hairdressing tools business evolved over the years? Hairdressing tools have a long history reaching back over 2000 years. It’s thought that Cleopatra had most of the (non-electrical) hair tools that we use now at her disposal, in some shape or form. In other words, in its primitive shape most of the tools that we still use today had already perfected their basic form in earlier civilisations. These basic hair tools are low tech and have been consistently reproduced over the course of human history with little change. At YS Park we prefer to think from the perspective of the modern hairstylist and what is demanded from us now. Focusing through the lens of our 3 concepts of “speedy, easy, precise” we try to develop tools that break the chain of repetitive imitation. With regards to trends, it’s interesting to see the pattern of change not only over time, but also differences from country to country. With our extensive range, we see certain products that are popular lose popularity and then suddenly become high in demand. I think particularly more so for tools that are highly specified in its use this is to be expected, but this just shows that people are more aware of how they choose to use their tools. Knowing how to choose and use the tools of your trade is part of the skill set required to be a good professional. What do you think sets YS park apart from their main competitors? Our base as a hair salon and my experiences as a hair stylist gives YS PARK a deeper understanding of the tools that are required. This first-hand knowledge gives us the confidence to produce a wide array of tools. Other manufacturers often focus on whatever their area of expertise is, perhaps it’s combs or brushes or pins. This expertise doesn’t always translate if you want to go into producing a different tool. At YS PARK we have a consistent vision and purpose for the all tools we produce. I think at the level in which we take into consideration and break down the process of hairstyling, producing specific tools that meet specific needs, and creating an extensive product line-up, YSPark doesn’t have a realistic competitor as such. What has been the brand’s greatest success? It may be surprising for people outside Japan but our greatest success in terms of numbers is our Shampoo and White Bleach. It is used as a standard requirement for vocational qualification exams in Japan. From a more broad perspective, however, reaching a point where professional stylists all over the world recognise YS PARK as a type of benchmark for good quality and changing the way they think about their tools is an achievement for the brand. Why should people use YS Park? It’s funny, despite our original intentions, the more we incorporate high tech hardware and software into our lives, the busier we seem to have become. It could just be that as the world speeds up, we try to achieve more and our expectations of getting instant results is higher. In an environment like the hair salon where fulfilling the client’s expectations within the specified time is crucial, stylists need the right tools to help deliver the result. As our products have been designed with this in mind we find that YS Park is particularly popular with stylists with many clients, backstage stylists, session stylists, educators, competition stylists and basically those who have a busy or high-pressure work environment. Anyone that also values our concept of Speedy, Easy and Precise will find that our tools will fulfil their own high expectations. For brushes the Aerosaurus and T09 styler. For combs G20, 150, G45 and 339. For tools the YS PARK Sprayer and clips. In hair care the white bleach and setting lotion. The next step is to create a basic International Beauty Standard. They say understanding the basics is the most important part of any learning process, but in hair and beauty, I have seen the basics differ from different salons, colleges, academies or associations. Whilst we have to appreciate unique styles and techniques, it is important to incorporate a basic standard in order to alleviate confusion among those learning and motivate them. If we have a global standard that we can all refer to, students and educators can be motivated by a more effective teaching and learning process. This already exists in hair colour, where we can all refer to specific recipes to create a specific colour, even if we go abroad. However in hair cutting even though we may follow a step-by-step guide, the reality is that it is impossible to 100% recreate the look. If we go to a hair salon on holiday we can not expect to achieve the same look as what we are used to. This loss in confidence and suspicion of stylists that we do not know of is a shame and a lost opportunity for the salon. Who is skilled? Does famous equate to skilled? Does expensive equate to skilled? At times for the potential client, it can be very confusing and misleading. Alleviating any fears by reassuring the customer with a basic ideal should increase footfall to the salon from those outside their usual client circles. Shop YS Park combs and tools now!